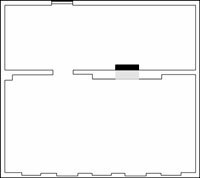 The object in the ante-room has the same height and width as the exhibition room door. Its depth corresponds to that of the wall protrusion on the inside. 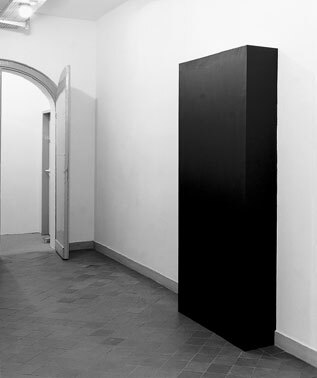 There a black field of the same height and width as the object in the ante-room has been repeatedly painted over with white wall paint, thus becoming almost invisible and seemingly disappearing inside the wall.